By 1916 the Wilson administration was ambivalent about the war in Europe. 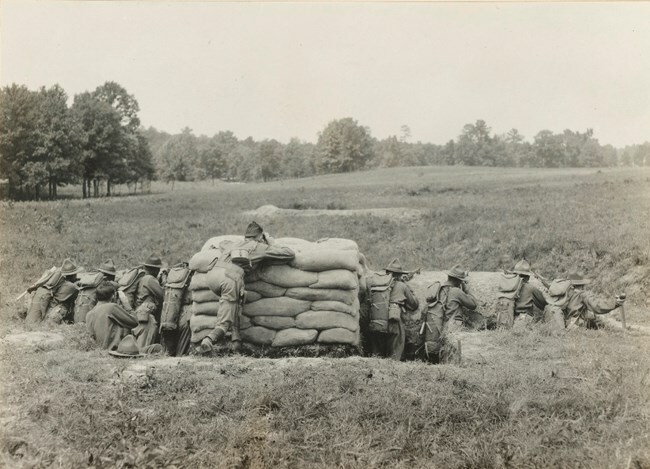 Its members and the president knew they might be sucked into hostilities but were determined to hold on to neutrality. Contingency planning was discouraged. 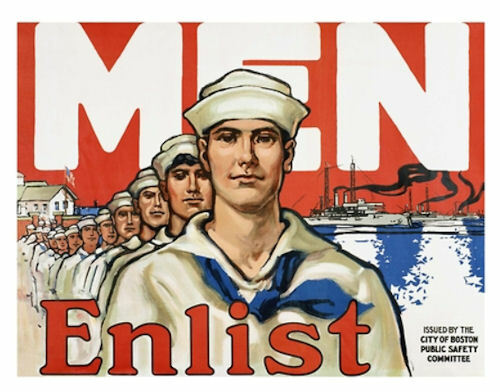 However, the prospect of being drawn into the war stimulated "bottoms up" discussions between American Army and Naval officers and British officials and officers. 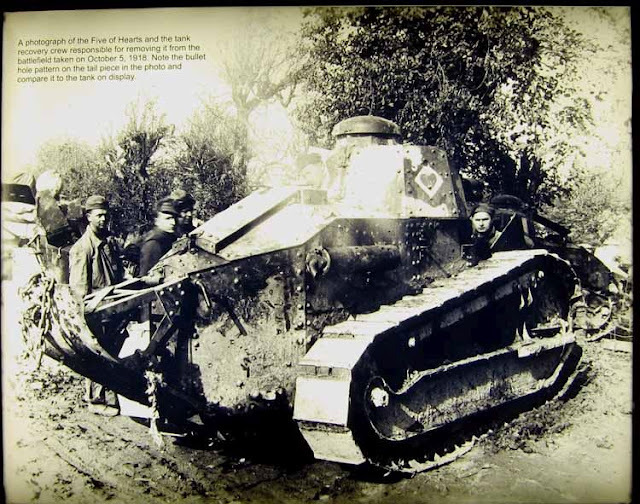 These became intense during the spring of 1916. They generally did not have much impact and there was little follow-through. However, it is clear by this time the British had made a high-level decision to woo America and convince her to join the war. It was Horatio Kitchener who seems to have made the opening approach. On 24 March 1916 a German U-boat torpedoed the French steamer Sussex, injuring several Americans. 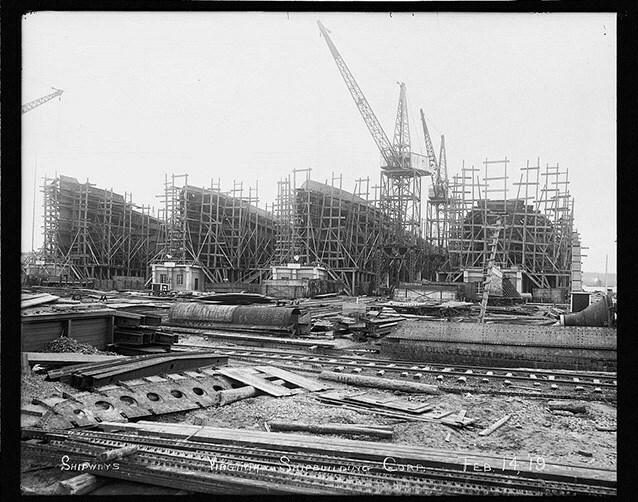 Greatly angered, Wilson sent a note to the German government demanding that they renounce their submarine policy. Germany finally acquiesced on 4 May but not before this event had further tarnished that nation in Wilson's eyes. 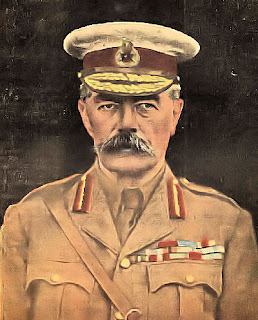 Meanwhile, the British secretary of state for war, Field Marshal Lord Kitchener, was meeting with Lieutenant Colonel Charles O. Squire, the American military attaché in London. Kitchener suggested that a break in diplomatic relations between Germany and the United States would inevitably lead to war, either through a German declaration or through some overt act that would force Wilson's hand. The two discussed the possibility of committing an American expeditionary force to European soil. Kitchener claimed that American involvement would hasten the war's conclusion and, when pressed, even claimed that it would do so "at least by the end of the year." Either Kitchener's assessment of the American military was grossly unrealistic, or, more likely, he was hoping to entice the Wilson administration into joining the fight through the promise of a hasty finish. Kitchener also suggested that American troops be trained in France instead of in the United States so that they could enter combat "in the shortest possible time." Newton D. Baker, easing into his new position as secretary of war, received this memorandum with little interest. Again, no evidence exists that Baker briefed Wilson on this meeting between Kitchener and Squire, probably for the same reason that Acting Army Chief of Staff Scott had kept his earlier mobilization questions to the War College Division hushed. 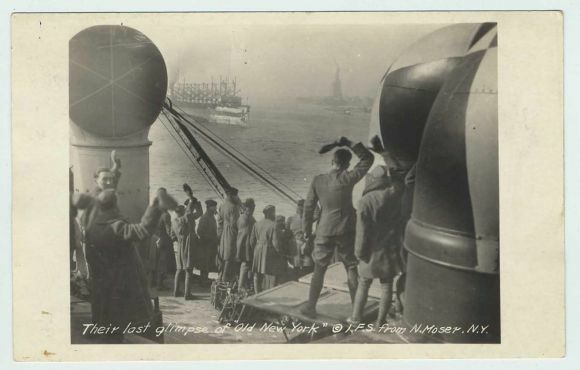 In addition, Wilson was apparently kept ignorant of discussions to mobilize U.S. shipping to carry an American army to Europe in the event of war. 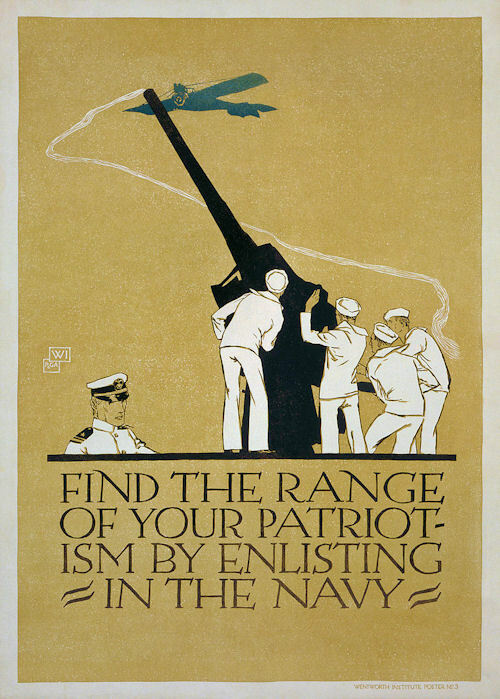 This proposal, prepared on 4 April by American naval and military attachés in London and Paris and by two American officers assigned with the British Expeditionary Forces, warned that "any system adopted at the moment and operated without previous study and experience is more than apt to bring discredit on the Navy, and useless danger to the army and the Nation." 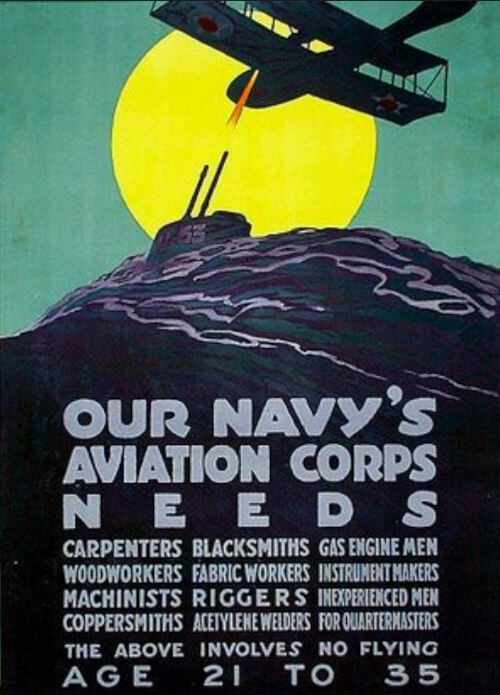 [However] even the military planners ignored this recommendation until November 1916. [Kitchener, of course, was no longer available to lend a voice of encouragement. He was drowned at sea on 5 June 1916.] Again, coordinated military planning was forsaken and once more American military leaders neglected realistic contingencies, leaving the consideration of such ideas to the very eve of the American declaration. The Great and Holy War. . .
What is the relationship between religion and violence? This question has grabbed my attention for much of my adult life, starting with grad school. I was assigned to TA a Bible as Literature class; not having been raised with any religion, I rapidly set to study and was (among other things) amazed at the sheer amount of violence and horror in some religious works. This led me to explore the centuries of writing about violence and religion, an exploration that only deepened on 11 September 2001. As a professor at a small college, I helped a group of faculty and students explore the emerging conflict, including trying to understand religion's role. This interest brought me to Philip Jenkins's powerful Great and Holy War. Many people see the 20th century as driven by competing secular ideologies (fascism, communism, decolonialism, etc.). In this setting, World War I appears as the first war of science and industry, the first great modern conflict. In contrast, Jenkins assembles a powerful case for understanding World War I as a deeply religious conflict. The First World War was a thoroughly religious event, in the sense that overwhelmingly Christian nations fought each other in what many viewed as a holy war, a spiritual conflict (5). Each chapter takes a different run at the problem. So rich is the subject, and so assiduous is Jenkins's approach, that I have to identify these topics to give a sense of the book's richness. 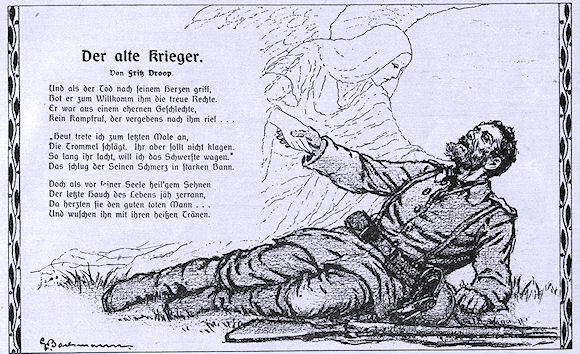 Great and Holy War begins by demonstrating how the gigantic horrors of WWI summoned up religious responses from participants. Many soldiers, leaders, observers, and civilians saw the bloodshed and destruction as apocalyptic, or as signs of divine wrath, or as creating martyrs, or as summoning up vengeful ghosts. All of this makes sense if we recall that the belligerent nations were, in 1914, deeply religious, many with religious authorities intertwined with state power. Some of those authorities and believers called on religious reasons to understand or support the war, even to the uttermost. Jenkins does a terrific job of assembling quotations from clerics of all kinds, calling on their followers to murder, destroy, exterminate, and sterilize. [K]ill Germans - do kill them; not for the sake of killing, but to save the world, to kill the good as well as the bad, to kill the young as well as the old, to kill those who have shown kindness to our wounded as well as those fiends... I look upon it as a war for purity, I look upon everyone who died in it as a martyr (71). These beliefs appeared in every involved nation according to Jenkins: Britain, France, Germany, the United States, Italy. I'm impressed at how he takes care to focus not just on Anglophonic countries. WWI is when Portugal saw the Fatima visions, for instance. Jenkins does a commendable job in broadening our attention to areas beyond the Western Front. He takes care to show how Russian orthodoxy committed itself to holy war. 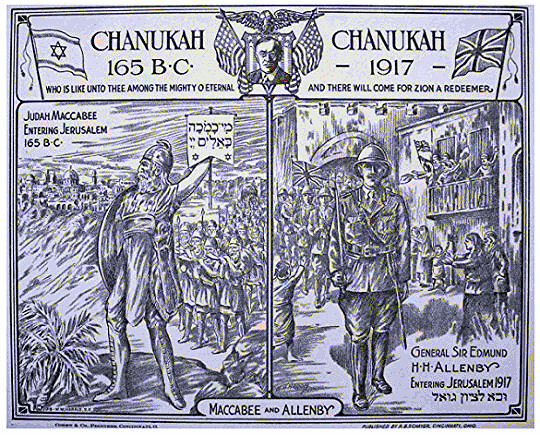 He addresses the complex intersection of Judaism and WWI, from the importance of Jewish soldiers in different armies (on both sides!) to the decisive John Chilembwe (269–270). He reminds us that the (Islamic) Ottoman empire's genocidal attack on (Christian) Armenians was, in part, a religious struggle (chapter 11). Indeed, the Sultan launched his empire into WWI as a holy war, while German agents sought to spark jihad against British and French colonial regimes, with some real effects, including organized violence (345). There are so many ways that religious believers brought their faiths to bear that I cannot summarize them all here. Let me mention Jenkins's keen eye for imaginative writers. He begins with Arthur Machen's "Angel of Mons", where a defeated British army successfully summons up Agincourt's dead to defend them from German attack. Jenkins reminds us that J.R.R. Tolkien experienced the Western Front's horrors, which we can see in the famous "Dead Marshes" scene, among others. And he recalls that Carl Jung, absent from the war in neutral Switzerland, nonetheless addressed it in his cryptic Seven Sermons to the Dead. Jenkins even establishes a link between Rudolf Steiner, visionary on multiple levels, and the von Moltke family, leaders of the German war machine (156). I approve of how Great and Holy War does not end with 11 November 1918, but carries on as wars continued to rage, most notably in Eastern Europe and the Middle East. The book reminds us that religion played a huge role in the Russian Revolution and Civil War ("a full-scale religious civil war" (201)), and that many believers beyond the Orthodox spent the next generations terrified of a Soviet-style campaign against belief—the 20th century's anticommunist movement would draw heavily on religion. It also reminds us that after 1918 the victorious nations struggled to manage their expanded empires. "Between 1919 and 1925 Britain's newly founded Royal Air Force saw action against Muslim rebels and enemy regimes in Somalia, Afghanistan, Waziristan, and Iraq" (349). This mix of religion, politics, imagination, and violence appears in the 1920s within the American KKK, which had a strongly religious mission as well as symbolism (206). It appears in the brutal war between (Christian) Greece and (Islamic, though soon to be secularized) Turkey from 1919 to 1923. Throughout the book Jenkins looks even further ahead, to WWI's century of influence. He finds the war to have rebooted a global sense of Islam, a development obviously of today's moment. He sees WWI as launching the huge shift of Christianity to Africa (starting with "an African reformation", 325). He argues that while the passionate public religiosity of WWI faded afterward, its currents continued to flow and develop. The Royal Red Cross (RRC) is bestowed by the British Crown exclusively upon nurses. Established by Royal Warrant of Queen Victoria on 27 April 1883, the RRC is the second oldest decoration in the British scheme, following the Victoria Cross (VC) which was created on 29 January 1856. 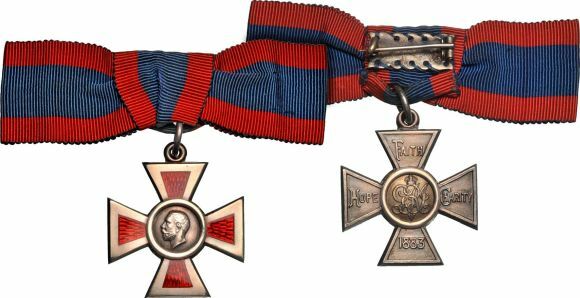 The RRC is distinctly different from the Red Cross medal, granted by the British Red Cross to a Red Cross nurse for long service. To confer the decoration upon any ladies, whether subjects or foreign persons, for zeal and devotion in providing for, and nursing, sick and wounded sailors, soldiers, and others with the army in the field, on board ship or in hospitals. Reflecting change in the profession, males became eligible in 1977. Over the succeeding 135 years other aspects of the qualifications have been interpreted and tweaked. 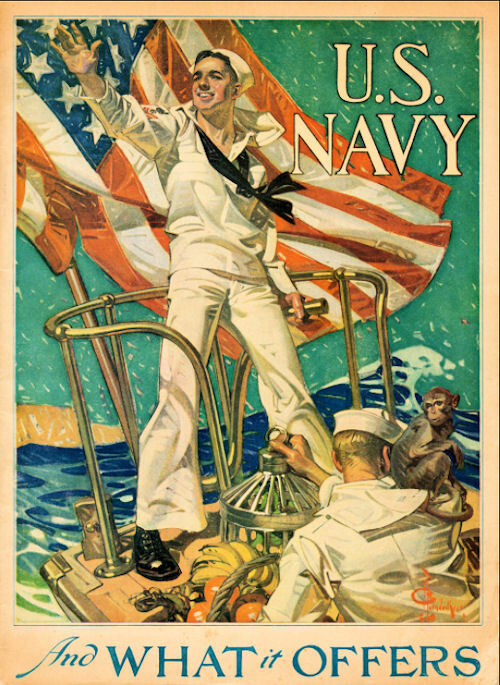 Today those eligible are qualified nurses, serving with an officially recognized military or civilian medical service, who have either shown "exceptional devotion and competence in performance of actual nursing duty over a sustained period" or performed a "very exceptional act of bravery and devotion to duty." The award was expanded in 1917 to two classes—nursing assistants and VADs were eligible for the 2nd Class (until 1920). Later the classes were renamed "Full" and "Associate" Members, and the abbreviation for an Associate is ARRC. 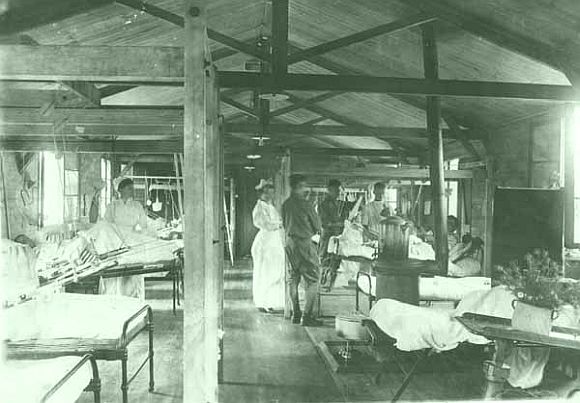 During the period 1914 through 1921 there were about 23,000 nurses and 75,000 VADs in British service, and 1,100 of the former were seconded U.S. Army nurses. RRCs of both classes were awarded to 6,741 nurses, 69 of which went to the Americans. One of these RRC recipients was Lillian Sarah McKnight, from Cavalier County, North Dakota. She was born on 30 September 1886 in Leaskdale, Ontario. Her family moved to a farm in North Dakota in 1887. 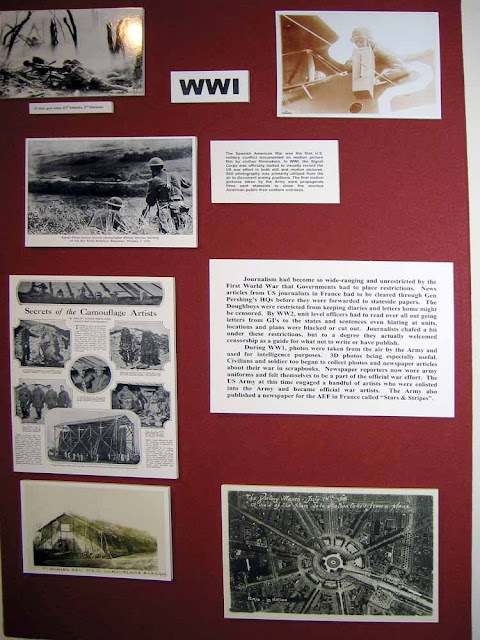 Lillian’s account of her war service is included in North Dakota Nurses Over There, by Grace E.F. Holmes, MD, Professor Emerita at the University of Kansas Medical Center, along with the stories of 224 other nurses from the Roughrider State. She received her Red Cross appointment on 3 November 1917 and was sworn into the Army on 2 January 1918. She proceeded at once to New York for training and kitting out and was assigned to the First Detachable Unit, which was made up of 100 nurses not assigned to a U.S. Base Hospital unit. Her group departed for France on the SS Orduña, leaving on 1 February and arriving at Liverpool on 17 February. Two days later they went over to Le Havre and were sent to British hospitals. Lillian was one of the four assigned to Stationary Hospital No. 3, a 1,200-bed facility located at a former convent near Rouen. Lillian was on the surgical floor, in charge of 78 beds. One night my ward with filled when they brought in about thirty patients...and we had to place them on the floor. I said to one boy [Lillian was 33 at the time]…“Buddy, I’m sorry we haven’t a bed for you.” His answer was “Sister, this is the first time I have been comfortable in months—just let me rest.” That was the type our soldier patients were. The hospital was swamped by the German spring offensive called Operation Michael. 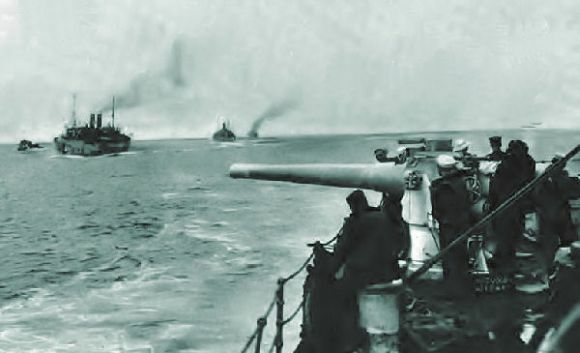 At one time they were only 16 miles from the fighting, and they could hear the guns and see the flashes, which Lillian described as like "a bad electrical storm". 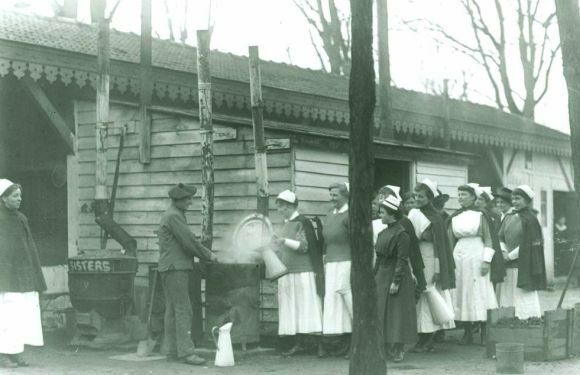 As the British troops moved forward, the nurses would try to go to the road to call out "Goodbye and good luck," to which some would reply "Goodbye, Sister, I’ll be back in a few days. Have a bed for me." After the offensive, the Germans began intensive night bombing around Rouen, which meant caring for the patients in the dark and sheltering in dugouts. 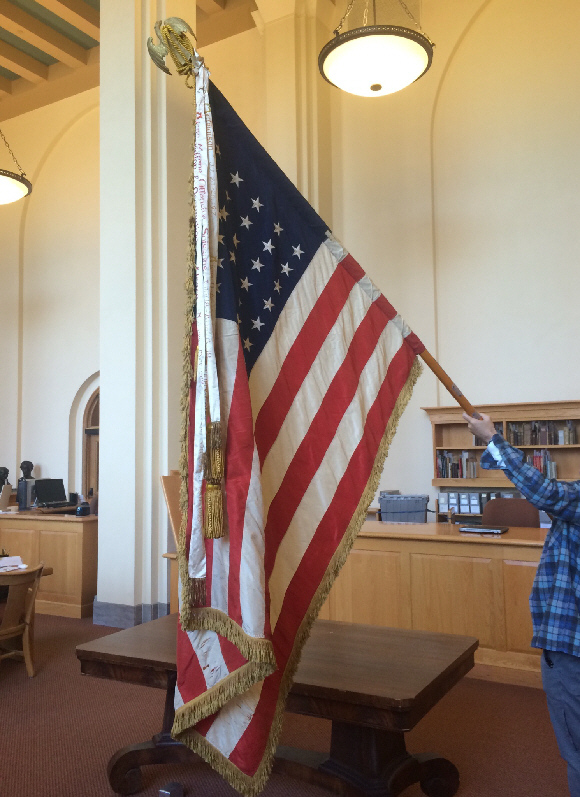 When the Armistice was announced, one of her patients said "Well, no more over the top and good luck." Although the war was over, nursing was not. Her British hospital slowly emptied out as patients died or were sent to the U.K., and eventually she was transferred to U.S. Base Hospital 110 at Mars-sur-Allier. Lillian left St. Nazaire on 12 April 1919 on the SS Ryjndam and arrived at Newport News on 26 April. Eventually she returned to North Dakota and received her discharge on 21 July 1919, having served about 18 ½ months, long for a U.S. Army nurse in WWI. In 1924, while working as a nurse for Pillsbury Mills in Minneapolis, she married Joe Weir, a regular Army soldier, who was listed as retired in 1930. She is known to have lived in Indiana and Florida as well. An LDS family history entry says that she was called “Lil” in the family, and she sometimes used “Sarah Lillian” rather than her birth names. Also stated was that she was a shrewd investor and generous to her nephews and nieces. She passed away in Miami Beach on 8 April 1976 and is listed as buried in Cavalier County. North Dakota Nurses Over There can be purchased through the publisher, the American Legion Auxiliary, Department of North Dakota, at its website: ndala.org. 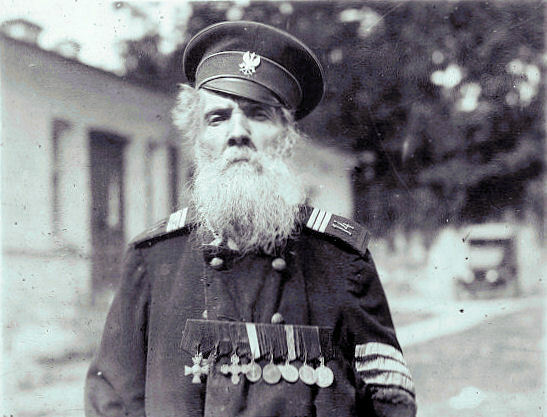 M. Krasinski, who claimed to American Red Cross relief workers in Kiev that he was a veteran of Napoleon’s Moscow campaign, that he was born in 1792 and was 128 years old. 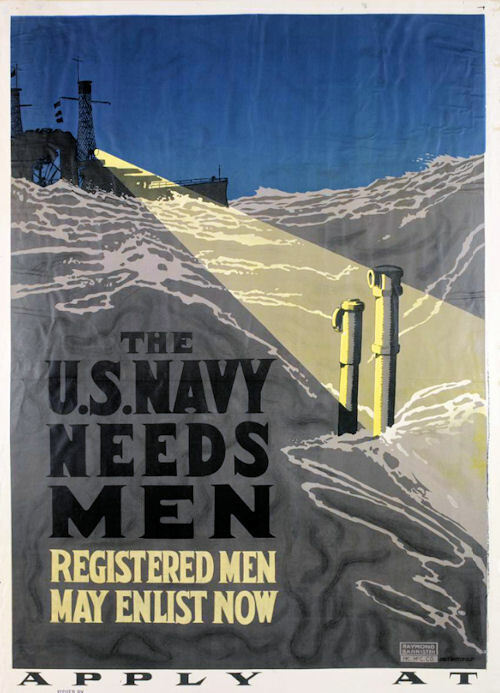 In some earlier writings, I touted (maybe waxed poetic) the superior artistic quality and emotional power of World War I posters versus their equivalents in the next main event. 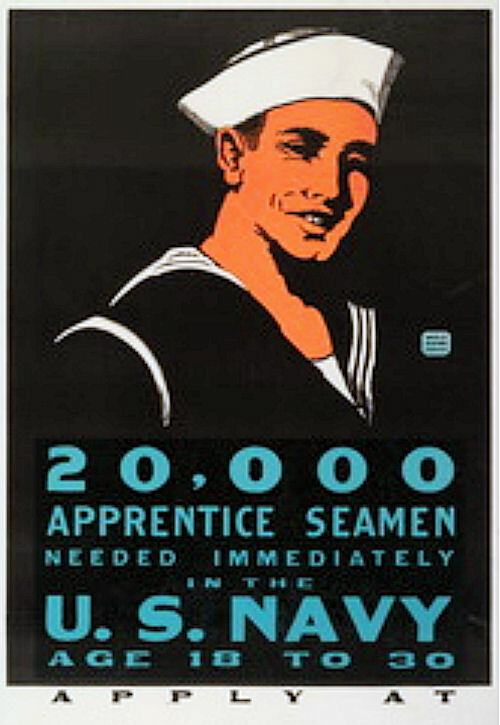 Here are some U.S. Navy posters I came across recently that I think support my case. Not all London men of military age were eligible to fight. A significant part of London’s population growth was made up by migration. London’s draw on young people of working age had never abated in the countries of Britain and the provinces of England. But for 30 years and more, London had attracted increasing numbers from Europe too. The largest of these minorities was made up of Russians and Russian Poles, mainly Jews, who clustered most of all in the East End of London. In 1911 they totalled some 68,000, not counting those born in Britain since their great emigration had begun thirty years before. The next largest migrant group by far was the German-born, over 30,000 in the County of London and 5,000 or more in the outer suburbs, two-thirds of them men; another 10,000 or so Austro-Hungarians, mostly Austrians, might be added to the German-speaking minority in London. They all far outnumbered the French, London’s oldest-established European minority, 14,000 of them in the County of London in 1911, and the Italians, around 12,000. 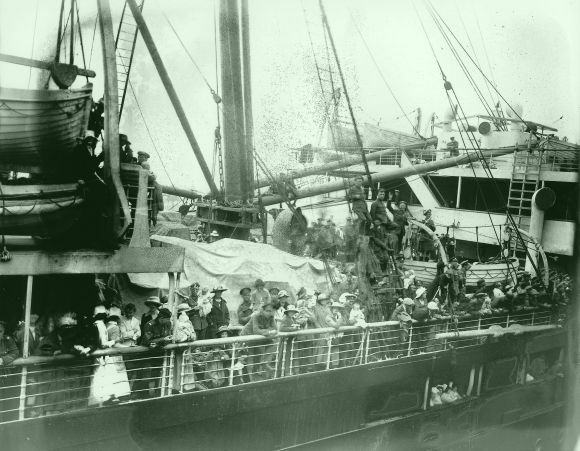 All of these foreign-born communities had increased in number since 1901 and in all likelihood continued to do so in the few years immediately before 1914. That year London was a more cosmopolitan city than for centuries past. The Germans, for instance, were long-established in both the East End and West End, with suburban communities at all points of the London compass. Charlotte Street, west of Tottenham Court Road, was the main West-End artery, known as “Charlottenstrasse” and famous for its restaurants and clubs. In the rest of London there were a dozen German churches, a Salvation Army German Corps, a German hospital, two German-language newspapers, a great German gymnasium at King’s Cross, and associations for every interest-group from amateur theatricals to chess-players, cyclists to military men. German merchants and traders, stockbrokers and bankers, had carved out an important niche in the City; the German governess had become a necessity in many upper-class homes; and the German waiter among proletarian migrants, and bakers and barbers among tradesmen, had become what seemed like irreplaceable fixtures in London’s economic life. With their high rates of intermarriage with English women and their readiness to stay in London rather than return “home", no foreign community was more integrated than the Germans. August 1914 would change all that. There were adjustments everywhere. In the Reform Club, as in the rest of clubland, notices were posted asking members not to bring alien enemies as guests. In Sainsbury’s, “German sausage”, a big favourite with the Londoners prewar, was quickly renamed “Luncheon sausage”. In Bermondsey, where “We were not without a large share of aliens in our midst”, shop fascias were transformed from “Schnitzler, et cetera” to “The Albion Saloon”, or “The British Barbers of Bermondsey”. The study of German was abandoned at Toynbee Hall, the university settlement in Whitechapel. Pubs changed their names, so that the King of Prussia, formerly popular in London, now became a rarity (one in Tooley Street became the King of Belgium); and local residents across the metropolis campaigned for the Teutonic taint to be removed from their street names often, after much delay, with success—Stoke Newington’s Wiesbaden Road becoming Belgrade Road, for instance. All this was productive of much misery. Among the large number of prosecutions of Germans for failing to register was a trickle of press reports from September 1914 of the suicide of Londoners who overnight had become enemy aliens: Joseph Pottsmeyer, 52, a gramophone packer from Hoxton, sacked from his job and unable to get another, found hanged in his room alongside a note expressing admiration for England; John Pfeiffer, assistant manager at the Holborn Viaduct Hotel, who shot himself in the eye and then, with extraordinary determination, the temple; and four weeks later an Austrian couple, recently married and only in their twenties, who took poison “it is believed…from fear of internment and separation.” There would be many others. 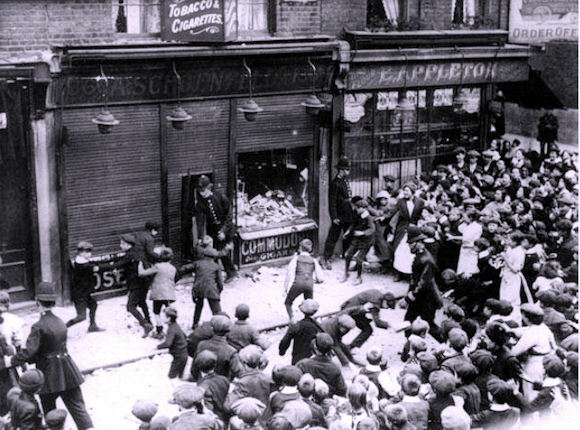 In addition, sporadic violence against German shopkeepers in the poorer trading streets of London began immediately after the declaration of war. Before 1914 was out, it turned much worse. That October saw the first serious outbreak of collective violence by the Londoners, beginning at Deptford and widely copied in other parts of south London for a few nights after. The crowds of 5,000 or so were so fierce and persistent that the police had to call out the military for assistance—butchers’ and bakers’ shops were wrecked and looted, shopkeepers and their families fleeing to friendly English neighbours for protection. These alarming riots had been triggered locally by the arrival in south London of Belgian refugees fleeing from the fall of Antwerp and arriving in London with little more than the clothes they stood up in. Worse was to come. On the afternoon of Friday 7 May 1915 the great Cunard liner RMS Lusitania was torpedoed off Queenstown, Ireland, with the loss of 1,198 lives, including many women and children and 124 U.S. citizens. The sinking shocked and horrified the world. The news reached London with the evening papers. It was received as a culmination of atrocities, the horrors of the German invasion of Belgium widely aired in the British press. Over the weekend of 8 and 9 May serious anti-German rioting broke out in Liverpool, the Lusitania’s home port. Then, beginning in Canning Town, West Ham, and other parts of east London on 11 May, and building to a London-wide conflagration on Wednesday the 12th, a frenzy of violence fell upon Germans in London. Over the next six days, every Metropolitan Police division from Harrow to Croydon and Hayes to Romford experienced violent disturbances. At least 257 people were injured, including 107 police officers, regular and special, beaten for standing between the Germans and the crowd. There were 866 arrests. By great good fortune no one was killed. Shops thought to be run by Germans or Austrians had windows smashed and doors broken down. Interiors—staircases, cupboards, ceilings—were "hacked to pieces." Provisions and property were carted away by the barrowful. The looting and violence extended to homes as well as shops. 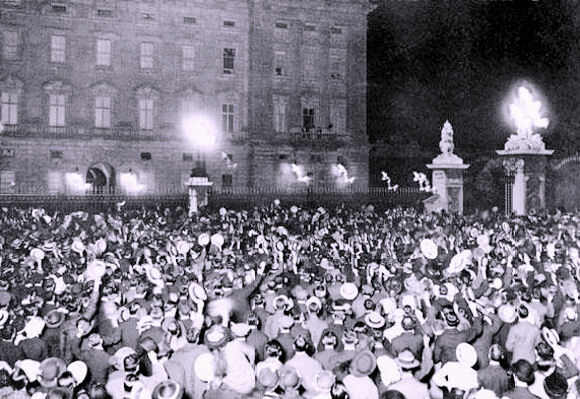 This would prove the worst outbreak of violence against the Germans in London, though sporadic outbreaks followed many air raids later in the war. But official action against them through the internment of men, including men well beyond fighting age, and the repatriation to Holland of thousands of German men, women, and children continued throughout the war. The results were plainly apparent. In 1911 the census had recorded 31,254 German-born residents of the County of London, excluding all or most of the outer suburbs; in 1921 the number had fallen to 9,083. The comparable figures for Austrians were 8,869 and 1,552. The Young Turks' effort at reforming the Ottoman Empire, for both the great powers and smaller nations on the periphery of the empire, were a signal of weakness. Bulgaria,for instance decided it needed its independence and declared it in October 1908. 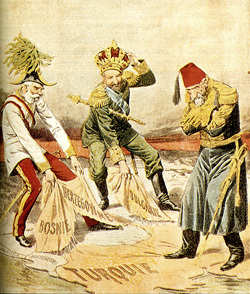 Russia was looking for free access to the Bosporus and Dardanelles, and Austria-Hungary desired to get better leverage on it nationalities problem. The foreign ministers of the two empires entered into negotiations out of which Austria got away with its annexing of Bosnia-Herzegovina, and Russia gained, well, nothing. Baron Aehrenthal's [of Austria-Hungary] success, then, is practically complete. One can now see that his appreciation of the international situation was the result of broad and, on the whole accurate survey. . . .Russia. . . the head of the Slav family, has been brought low. She has been ousted from the Balkan Peninsula without shedding a drop of blood, and at the cost of a trifling sum. Constantinople, which more than once might have been hers, has definitely slipped from her grasp. Her prestige among her kindred has faded into nothing. Thus wrote Dr. E. J. Dillon in last month's Contemporary Review, and for once the rhetoric of that exceptionally well-informed authority on Eastern affairs seemed [at first] to have overshot the mark. . .But [now] the collapse of Russia, reported on Saturday, is complete. Her humiliation is abject and undisguised. The only chance of getting anything for Serbia was by postponing the recognition of Austria's right to Bosnia and Herzegovina for simultaneous settlement with the Austro-Serbian differences. To [this] end British and Russian diplomacy has been steadily striving for weeks past, and with a fair prospect of success, when we were suddenly informed that "two factors have suddenly arisen making for peace in the Balkans," and that one of them was Russia's willingness as a prelude to the proposed conference to recognize the annexation of Bosnia and Herzegovina. It is always easy to purchase peace by surrendering everything that your antagonist is fighting for, and this is what Russia has done. Sometimes, however, a capitulation can be disguised as a compromise which secures something, or a semblance of something, for the defeated party, but here there is absolutely nothing to save Russia's face. "The greatest possibly excitement" is reported as prevailing in the Russian capital when the news became known, and the shame has been aggravated since by knowledge of how the surrender was brought about. The inducement was not a compensating concession of any kind of Russia or her protege, but what the Daily Mail describes as "the free use of the mailed fist." When the German Ambassador reminded the Russian Foreign Minister that Austria was Germany's ally--a fact of which the Minister must be presumed to have had at any rate some inkling before--he appears to have entirely lost his nerve, and to have reported to the Russian Cabinet "the probability of a German mobilization on the Russian frontier within forty-eight hours". . . .We need not wonder that the St. Petersburg newspapers are reported to be "profoundly indignant at what they deem the unreasonable panic behind M. Isvolsky's [sic] volte face," or that they speak of the betrayal of Serbia as involving "the eclipse of Russian influence in the Balkans for a century." If Russia had stood alone, the humiliation would not have been so abject. But in the present case she was supported by the same combination which successfully thwarted German aggression on France at the Algeciras Conference [which settled the First Moroccan Crisis to France's advantage over Germany]. Britain, France, and Russia stood together then as they were standing together now, until M. Isvolsky showed the white feather and told Germany not to shoot. The fall of M. Déclassé, to which the critics are comparing the collapse of the Russian Foreign Minister, was brought about by German dictation to the Republic while her ally was fully occupied with war with Japan. After that war was over Germany made the mistake of supposing that Russia was still a negligible factor in the politics of Europe, but at Algeciras the Kaiser learnt that Russia was still a power, and her combination with Britain in support of France was more than he could resist. The Kaiser has now had his revenge. I know, America's national parks are "Over Here," not "Over There," where the war was fought. 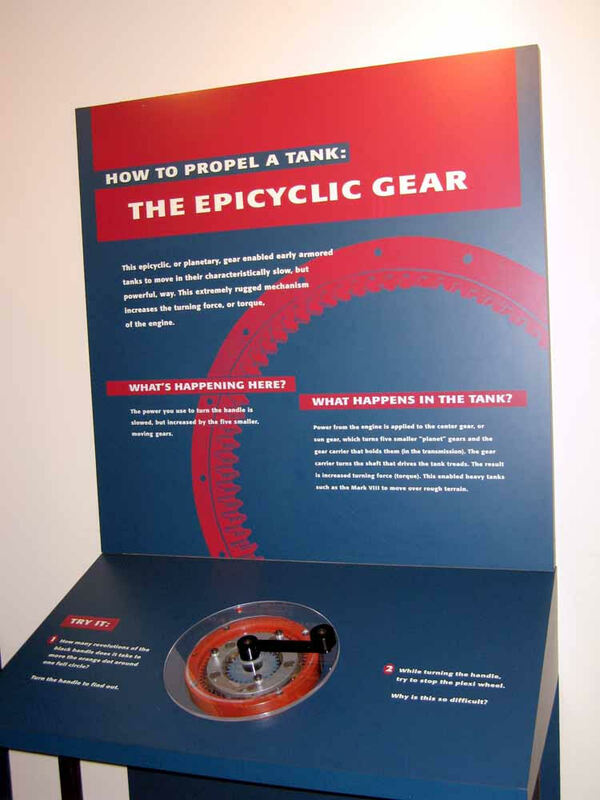 That, however, is just the point of this outstanding resource from the National Park Service (NPS). It has some of the best photos and articles on the American home front that I've encountered during the Centennial of the war. 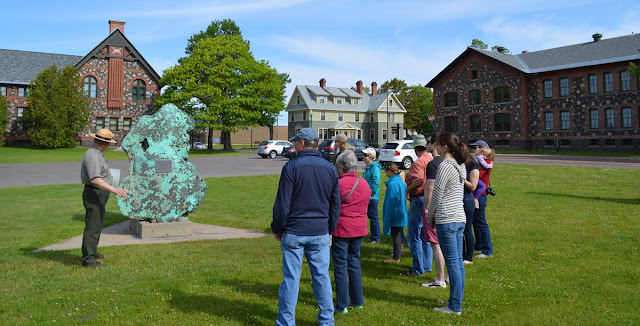 There are over 400 NPS national parks, memorials, monuments, battlefields, and historic sites, and a surprising number of them have connections with the First World War. Here are some examples. The dozens of in-depth articles are well researched and written, and the site finder map is easy use. Hellfire Boys: The Birth of the U.S. Chemical Warfare Service. . . 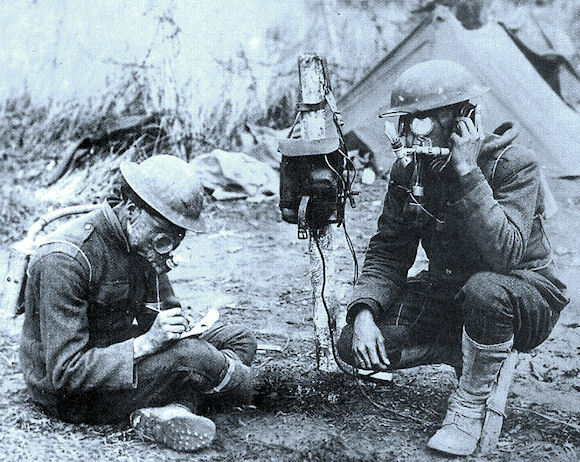 The widespread use of chemical weapons is one of the unique and tragic storylines of World War I. General surveys on the use of gas in the war have been written and there are detailed histories of the Canadian and British gas services. A biography of the leading German scientist, Fritz Haber, sheds much light on Germany's chemical war. But up to now, to my knowledge, we have not had a detailed retelling of the American effort to develop and deploy chemical weapons. Thanks to Theo Emery and his new book, Hellfire Boys: The Birth of the U.S. Chemical Warfare Service and the Race for the World's Deadliest Weapons, we now have that account. 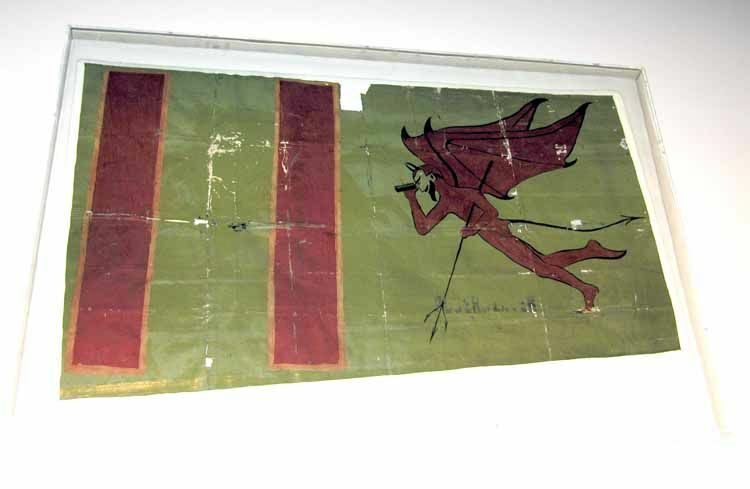 The Hellfire Boys was the name given specifically to doughboys of the 30th Engineer Regiment (Gas and Flame), the first organization in the American Army tasked with using chemical weapons. The author however, uses the term in a broader sense to include all the civilian scientists and soldiers who had a hand in creating and using chemical weapons. 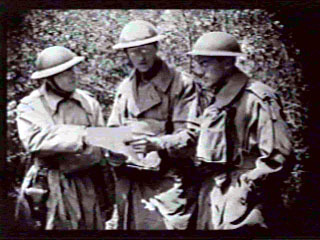 The author claims three main strands to his story: the research and the development of chemical weapons in American laboratories, the combat stories of the Hellfire Boys sent to France to use chemical weapons, and the story of a German chemist and spy who was captured and then forced to work for the U.S. war effort designing chemical incendiaries. There are several other important story lines in this book. 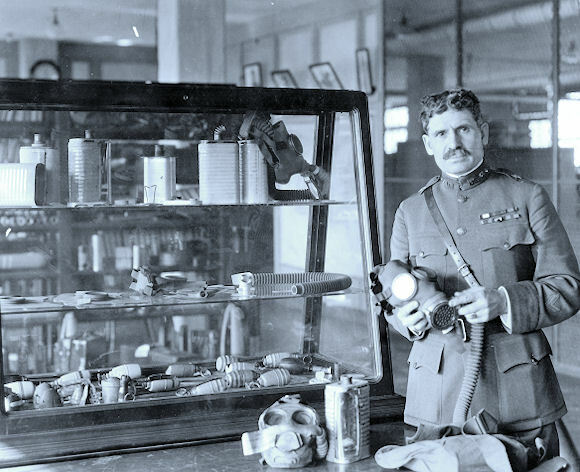 One is the development of Lewisite, a super-toxic chemical, and America's contribution to the pantheon of poison gases that combined the characteristics of an asphyxiating gas like phosgene with the blistering qualities of mustard gas. 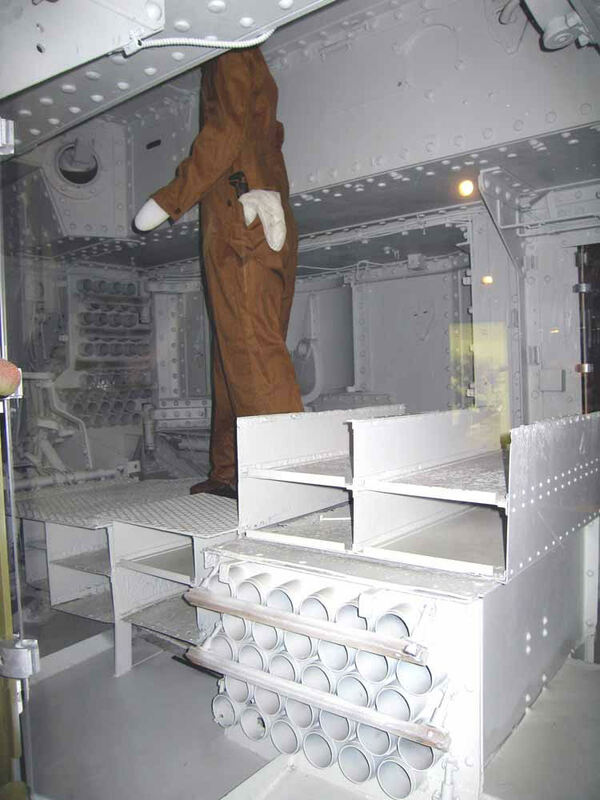 Another is the bureaucratic struggle between the U.S. Army and civilian scientists for control of the research and production of chemical weapons. Finally there is the heroic story of the mobilization of American industry to produce these weapons. 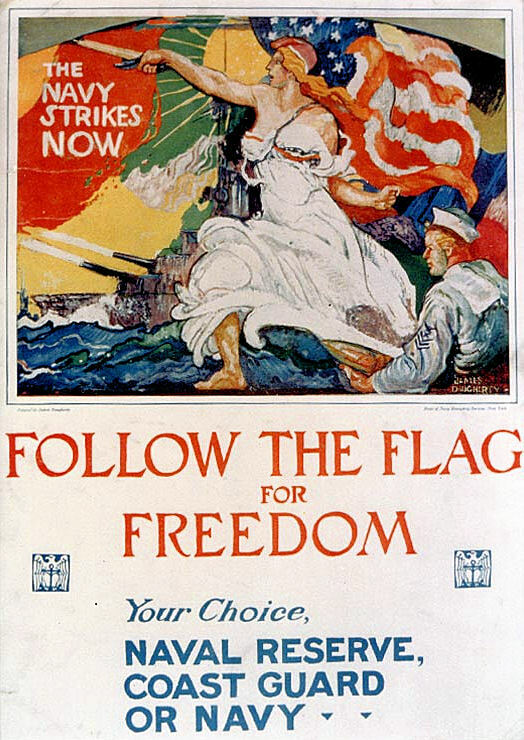 In April 1917 the United States had virtually no capability to produce chemical weapons, but by the fall of 1918 the U.S. was poised to become the world's chemical weapons superpower. In many ways, this effort has many similarities to the Manhattan Project of World War II. Parts of this book are more interesting than others. Chemistry can be dull, combat usually is not. Sometimes the author transitions from one story line to another rather abruptly. Nonetheless, there is a lot to be learned from this book. There are a lot of new names not generally known to students of the American war effort to be found here such as Vannoy Manning, George Hulett, Amos Fries, and Walter T. Scheele. There are a lot of long chemical names and terms to master like lachrymators, sternutators, asphyxiants, and vesicants. 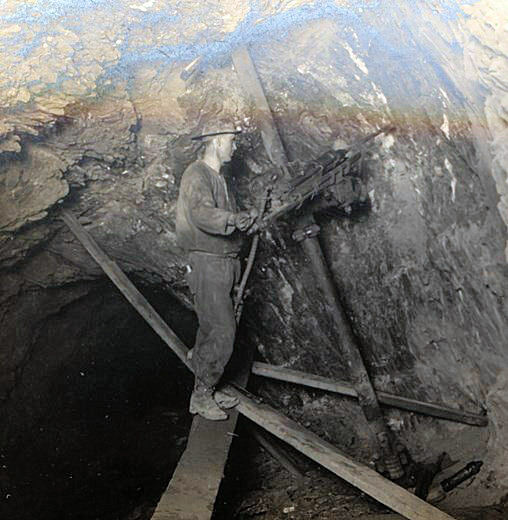 Did you know that in early 1917 the War Department outsourced the development of chemical weapons to the Bureau of Mines, because the Bureau had experience dealing with poison gas in coal mines? How did the American University, a then-struggling Methodist school in Washington DC, become the center of U.S. chemical research and development? 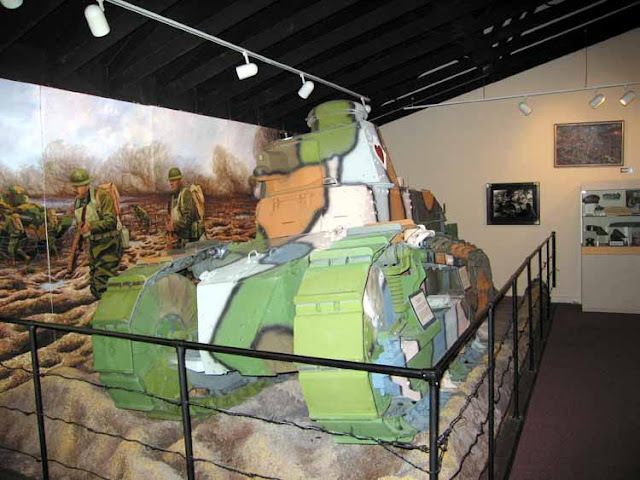 Did you know there is a museum dedicated to the U.S. Army Chemical Corps at Fort Leonard Wood in Missouri, where you can look at gas masks and mortars and Livens projectors from World War I, as well as more modern chemical warfare equipment? Hellfire Boys is a well-researched and well-documented book that provides a lot of interesting information for students of the American war effort. 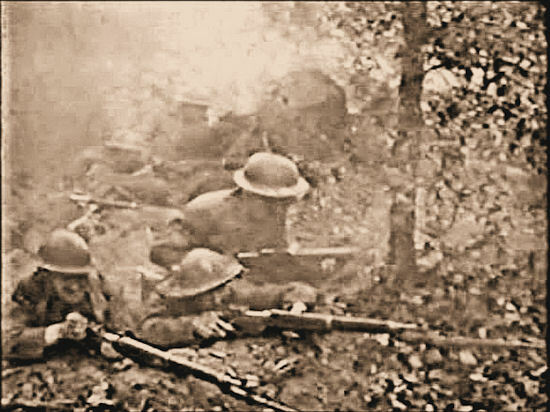 The triumphant machine gunners in the photo above are standing in front of combat shelter MF2 on the Verdun battlefield. 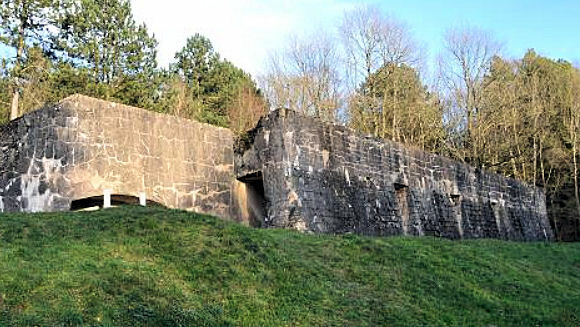 They have just participated in the recapture of Fort Douaumont in September 1916. The shelter had been completed in 1907 and was almost destroyed in 1915 as obsolete. 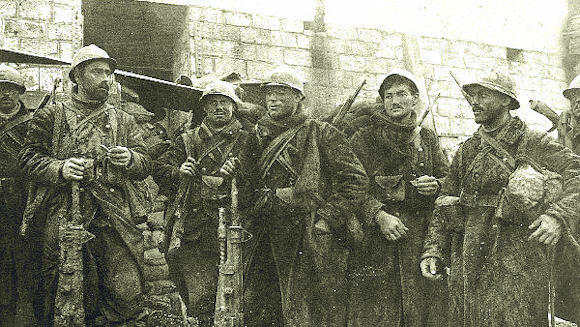 After Verdun was attacked in February 1916, however, it proved its value. 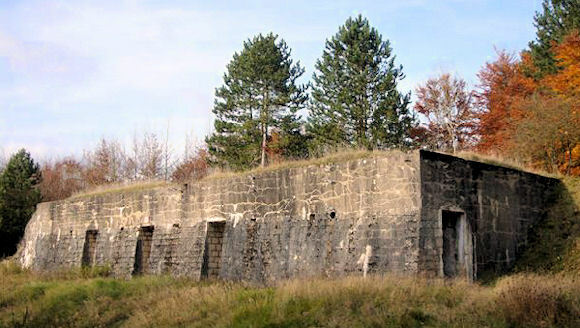 Located mid-way between Fort Douaumont and Froideterre (an important part fort, part field fortification complex). MF2 never fell to the enemy during the battle and withstood numerous bombardments. It still stands today, but it's quite difficult to get to. Here are two recent photos from Christina Holstein, who helped me pin down the location of the photo. News Flash! 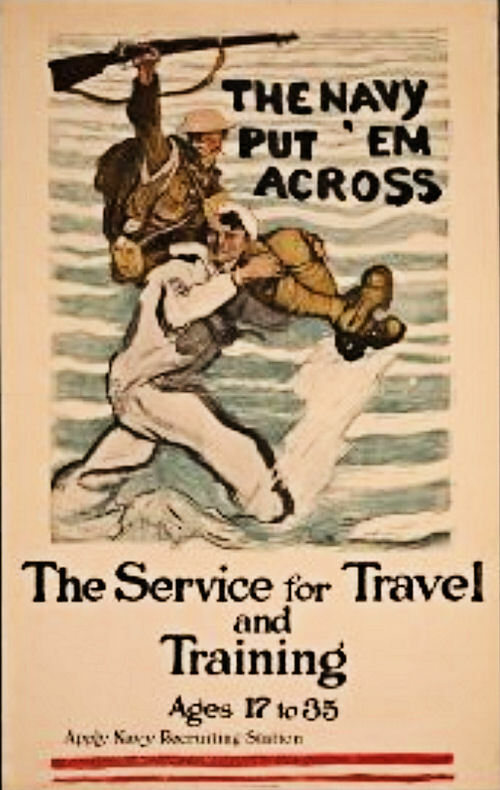 Author Patrick Gregory is flying across the Atlantic "pond" to speak on Lt. Kimber's war service next week on Wednesday, 21 February, 6:30 p.m. at the Army Heritage and Education Center, Carlisle Barracks, Pennsylvania. Please try to attend if you're in the area. 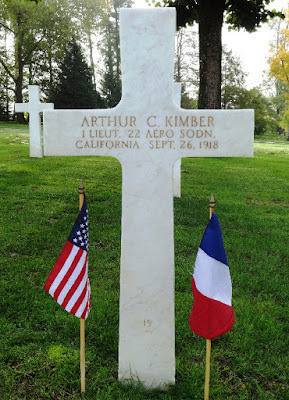 Although he left from Palo Alto and the San Francisco Bay Area as a Stanford volunteer, Arthur "Clifford" Kimber was not a native of California. The family had moved west from New York only eight years before when his father, a clergyman, died suddenly in the summer of 1909. It had been a terrible loss for a still young family—his widow Clara, more than 20 years his junior, and his three sons John, Clifford, and George. At 13, Clifford was the middle child. The Rev. Arthur Kimber had been a dynamic and inspiring figure, not just to a family who looked to him for his love and support but also to a large body of parishioners in downtown New York. Thousands of men and women, many of them recent immigrants to the United States, flocked to his mission church in Manhattan's Lower East Side. He was the vicar of St. Augustine's, an Episcopal church in the city's Bowery, an area which acted as a magnet for the city's dispossessed or newly hopeful. St. Augustine's offered spiritual, and a good deal of practical, support on the way to a new life. The mission was an offshoot of Trinity Church on Broadway and Wall Street, the main Episcopal church of New York and by comparison to St. Augustine's, possibly the wealthiest parish in the United States. Kimber senior had been appointed in 1872 to head up this new offshoot, something he devoted himself to over the following 35 years. But it was another aspect of Kimber's ministry, his social activism, which brought him into contact with New York's public authorities along the way, working with them to try to find practical as well as religious solutions to the city's problems. 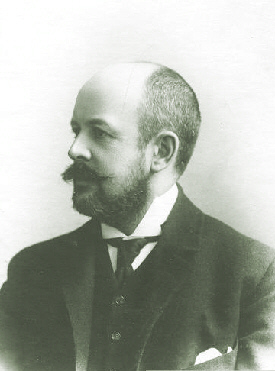 During the mid-1890s he worked through the city's Police Board, cooperating with Theodore Roosevelt, then police commissioner for the city in a campaign to curtail the city's drinking hours. That was before the young Arthur Clifford had even been born, yet pride in the memory of his father's work and his common cause with Roosevelt fired the young Kimber in his teenage years. By the time Kimber was growing up in California, Roosevelt had already reached and departed the political summit, yet the former president remained young Kimber's political hero. It was no accident, therefore, that he sought out Roosevelt before he set out for Europe in 1917, anxious to receive some words of wisdom from the great man. Later still, and in France the following year, Kimber was just as pleased to have trained as a pilot alongside Roosevelt's youngest son, Quentin —"QR"— whom he described in his letters home as "a pretty good sport [who] has lots of life [and] is absolutely democratic and very well liked." But whatever political allegiances passed down by his father, or indeed any more personal or moral qualities he instilled in his middle son, there was another more practical inheritance which young Clifford was gifted by the Rev. Kimber—an interest in gadgetry and machines. That gadgetry included the latest form of transport then being pioneered, aviation. In spite of his clerical training and background, Arthur Kimber was a man who also thought and taught with his hands—practical life skills to parishioners, as well as busying himself in his workshop at home with all manner of mechanical projects and inventions. Clifford was an avid student and helper in all his workshop activity. In time, in 1907/08, he and his elder brother spent a year at a school in Canterbury in England, and it was after their spell there that the Rev. Kimber took his two older boys for a holiday in continental Europe. There, on 8 August 1908 in France, the three were in the crowd at a horse racing track at Hunaudières near Le Mans to witness Wilbur Wright making the first official public demonstration of his Wright Model A aircraft, the flying machine he and his brother Orville had designed. It was a flyaway, runaway success. It wowed the crowds and Clifford Kimber was hooked. After his father's death the following year he and his brothers—now relocated to California—found solace in aping the exploits of Wright, taking to the hills near the various homesteads where they lived, to build and fly gliders. They formed a little club and poured what money they earned locally into the materials needed to build the gliders, with the rather more daring Clifford acting as chief architect and pilot, even if all was not plain sailing. There were mishaps on the way, failed attempts which reduced the carefully assembled wooden constructs to firewood. His mother, Clara, in a memoir many years later, recalled her son taking off in one especially large glider and flying it from Cragmont in the Berkeley Hills, crashing further down the slopes. He emerged largely unscathed, if $10 the worse off, but at least one San Francisco newspaper jumped the gun to publish untimely—and erroneous—accounts of his death. It was that flying bug which inspired him years later to apply for a posting to the nascent U.S. Air Service in France. Within a matter of weeks of joining the ambulance corps he had written to Edmund Gros, a San Franciscan of French heritage who was the medical director of the American Field Service. 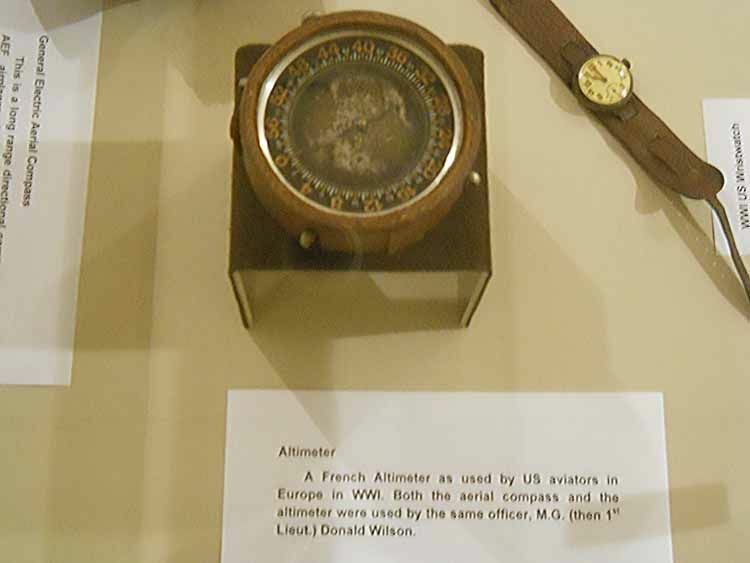 Gros, a physician, managed to combine his medical duties for the American Ambulance with a different role—that of the de facto organizer of early American aviation efforts in France. 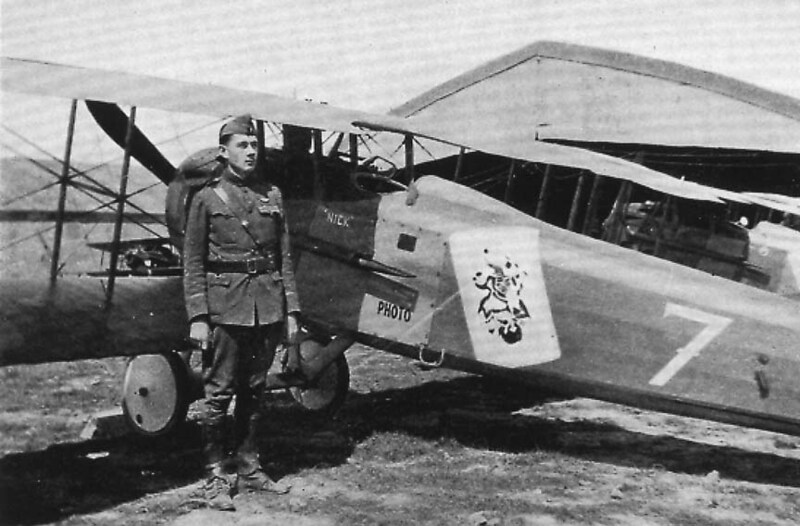 It was he who had helped create the Lafayette Escadrille, the original unit of American pilots who flew with the French air service from 1916, and the Lafayette Flying Corps, the later American foreign legionnaires who would fly with a variety of other French squadrons. Ambulance volunteer Kimber wanted to be part of Gros's plans and to play an active combat role in the war and thus wrote to him in Paris. After some negotiation and medicals Kimber was accepted in September 1917 for the American air arm proper, now beginning to be pieced together. Clifford Kimber spent the next year in aviation service, the first six months in training over the winter of 1917/18. It was an exacting schedule of first basic, and then advanced training schools, finally being tutored at a third camp in aerial gunnery techniques. Yet delays afterward—delays in transporting a vast force of men and materiel to Europe as well as the wrangling still going on as to the American Expeditionary Force's exact role and theater of operations—saw him frustratedly having to cool his heels for a time. He then acted as a "ferryman," delivering warplanes around France from distribution depots and airfields. But finally it was time for active service as Kimber went into combat with both the French Air Service—Escadrille Spa. 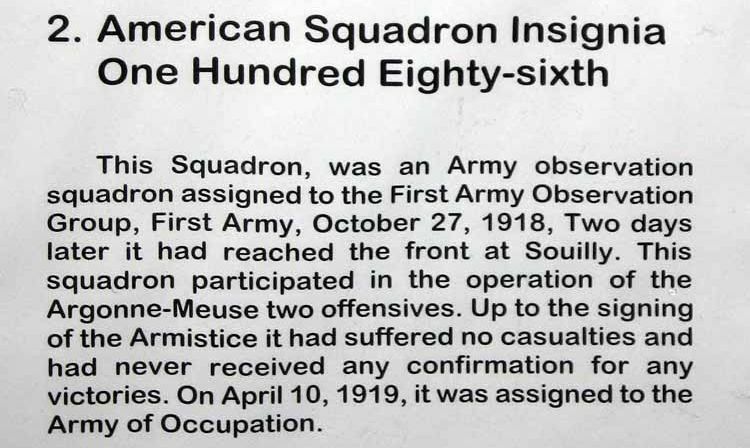 85—and the U.S. Air Service's 22nd Aero Squadron, seeing action across the front in northeastern France in the summer and early autumn of 1918. Kimber fought with the 22nd during the Americans' St. Mihiel campaign, narrowly escaping with his life in an attack by enemy fighters. 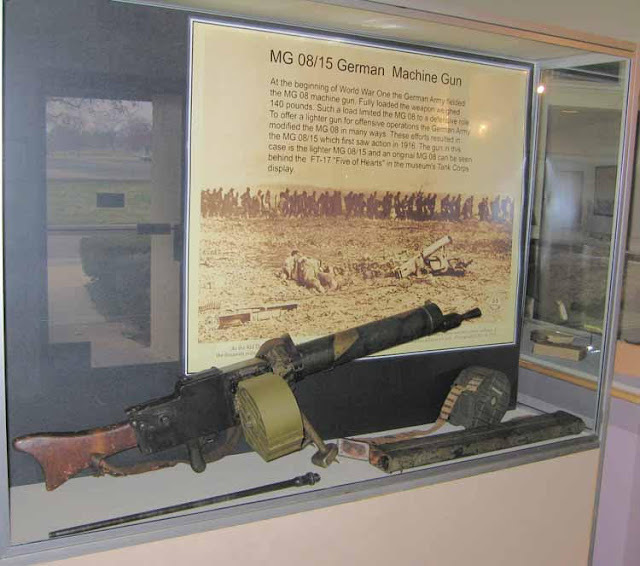 Acting as his patrol's rear guard, he was jumped by a group of Fokker aircraft and his plane riddled with gunfire. 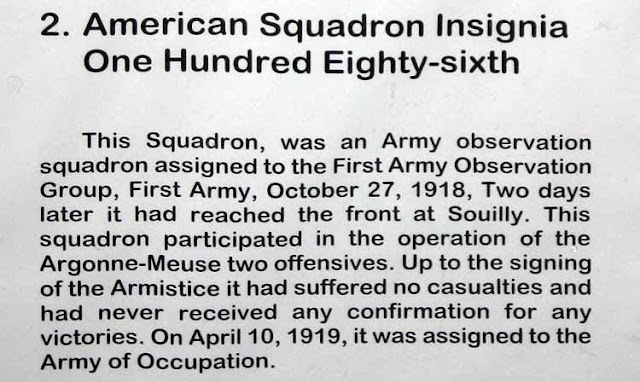 "Unreasonably shot to pieces" in the restrained words of the squadron's official historian, Arthur Raymond Brooks. Yet less than two weeks later Kimber's luck ran out. 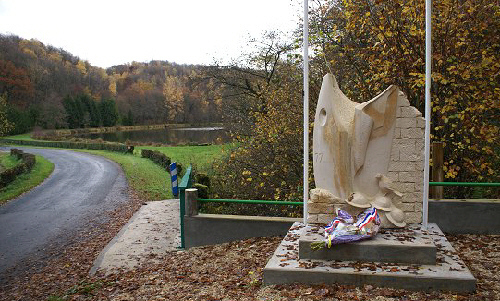 It was late in the morning of 26 September 1918, the opening morning of the Meuse-Argonne campaign, when the young lieutenant led a patrol to strafe roads to the north of the German Kriemhilde Stellung battle lines. Descending from the clouds on an enemy gun battery in the village of Bantheville, his SPAD XIII fighter was hit by a shell from the ground. The plane exploded and Kimber fell to his death. The moment was witnessed by the fellow members of his patrol who saw the remnants of the aircraft plunge to the ground, yet his body was not recovered at the end of the war. It took another three years for that to happen, before his body was finally identified in an unmarked grave in the village. 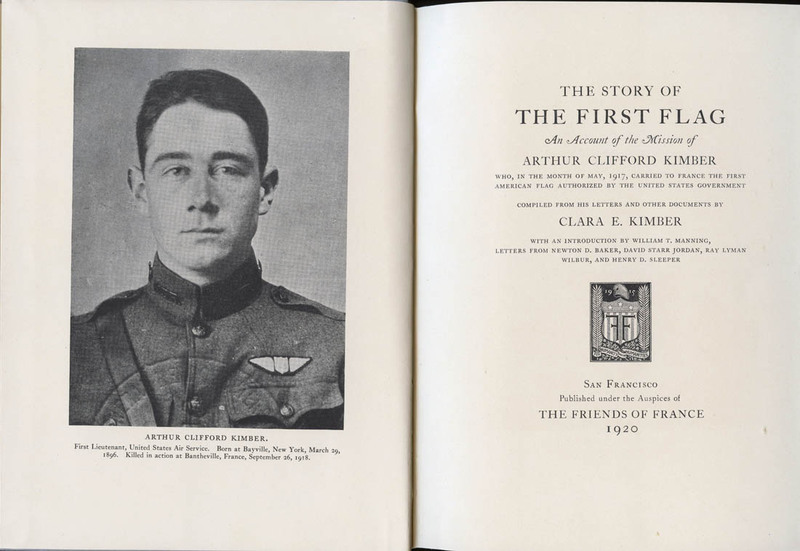 A year after that in the summer of 1922, 1st Lieutenant Arthur Clifford Kimber was finally re-interred in an official plot, only a matter of miles from where he had fallen. 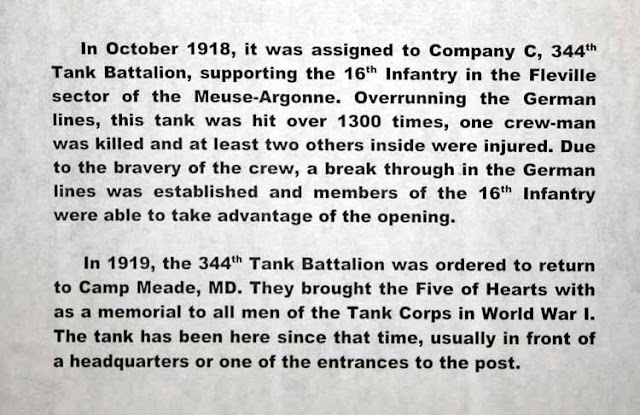 His grave can today be found toward the back of the American military cemetery at Romagne-sous-Montfaucon, in one of the final rows of the last plot. 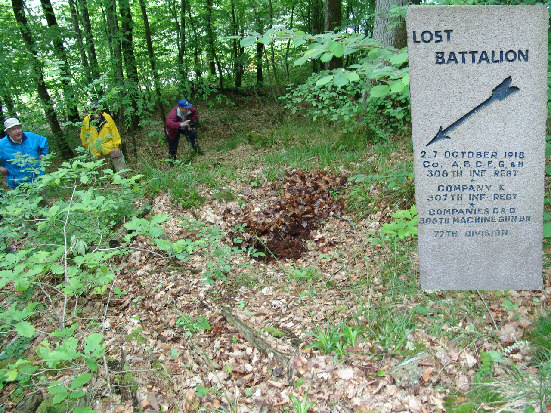 An early volunteer for the war in France, he came to be one of the last buried there. 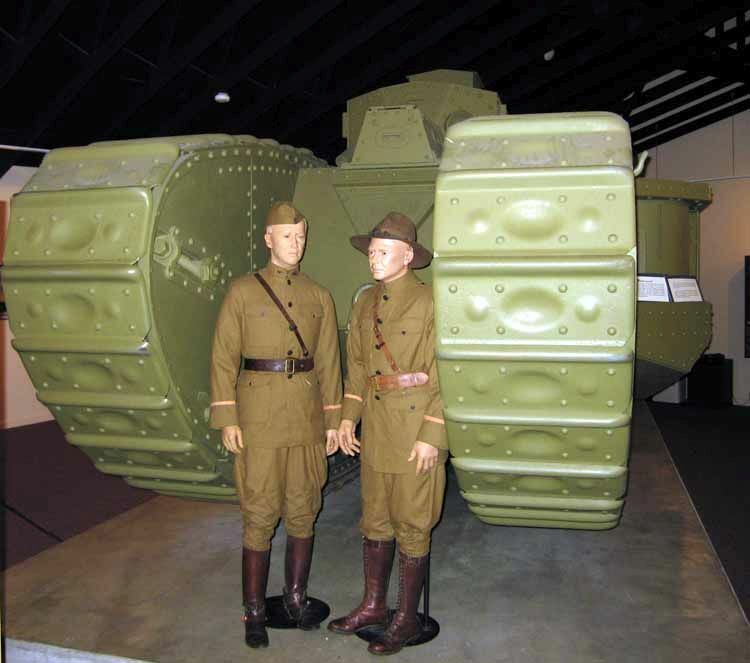 Part 1, of Steve Miller's feature appeared in yesterday's posting on Roads to the Great War.